DeepFlight was founded in 1996 by world-renowned engineer Graham Hawkes to develop innovative underwater technologies to expand human access into the oceans. DeepFlight’s personal submarines are a fundamentally new type of craft that enable the unique experience of flying underwater. Imagine cruising alongside whales, sharks and dolphins, exploring uncharted shipwrecks, or hovering over pristine coral reefs. The oceanic world, which has been inaccessible for so long, can finally be opened up for personal exploration and adventure. DeepFlight has completely redesigned the concept of a submarine. Unlike conventional submersibles, DeepFlight submarines are “positively buoyant,” meaning they naturally float to the surface and need motion to keep them underwater. By applying the principles and dynamics of flight, DeepFlight craft dive solely using downward lift and the power of its thrust. The submarines are not only fast, light, easy to maneuver and safe, their inspiring designs have been compared to futuristic airplanes and Formula 1 racecars. 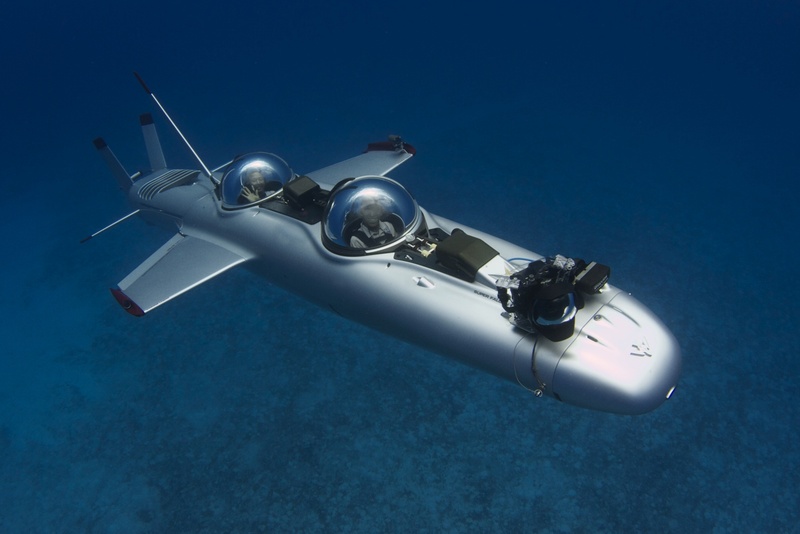 Since its founding, DeepFlight has developed five generations of personal submarines, each one representing a technological improvement over its predecessor. Our newest model, the Dragon, continues to innovate by enabling the ability to hover and fly underwater. 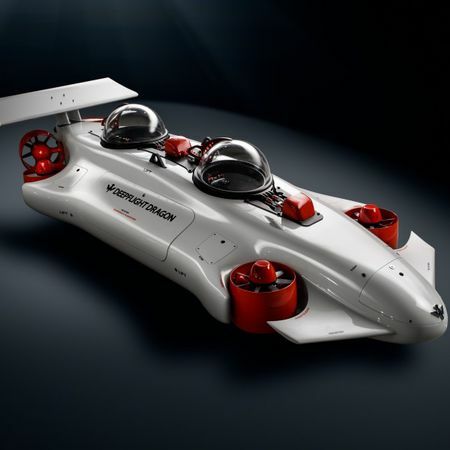 Additionally, the Dragon is the only personal submarine designed specifically for the owner to pilot, generating a great deal of excitement for underwater recreation and adventure tourism. DeepFlight personal submarines are ideal accessories for resorts, superyachts, and tour operators. They provide a comfortable, safe, and exciting way to explore the underwater world, enabling an exhilarating flight through blue space. SUPER FALCON MARK II A WHOLE NEW CLASS OF PERSONAL SUBMARINE The Super Falcon Mark II represents the pinnacle of personal submarine technology, allowing you to fly underwater. Barrel roll with dolphins, spy-hop with whales, or cruise through underwater canyons, all in style, safety, and comfort. Forget everything you know about submarines: the Super Falcon Mark II leverages the principles and dynamics of flight by incorporating a patented inverted winged design. It is the underwater equivalent of an airplane. Diving the Super Falcon Mark II is a radically different experience from a conventional submarine, connecting you to the blue space around you like never before. Designed with safety as the number one criteria, all Super Falcon Mark II craft are subject to DeepFlight’s stringent testing standards, and are proof-pressure tested for safety. Unlike conventional submarines which use variable ballast systems, the Super Falcon Mark II incorporates fixed positive buoyancy — with auto return to the surface — providing unparalleled safety. At 1800 kg and only 5.9 m in length, the Super Falcon is able to fit on more yachts than any other submarine on the market (with the exception of her sister sub the Dragon), with little or no retrofit required. We provide integration services onto yachts as well as into shore-based operations, inclusive with a purchase. Unlike traditional submarines with cockpits as complicated as a 747, the Super Falcon employs intuitive controls, fly-by-wire technology, and a simple layout, enabling you to dive your Super Falcon with minimal training. If Apple designed a submarine cockpit, this would be the one. With its high-efficiency brushless DC drivetrain and underwater lithium-iron-phosphate battery pack, the Super Falcon Mark II is fast, clean and quiet. A 40V system voltage and low electric signature make the Super Falcon Mark II safe to operate around swimmers, as well as any large marine animals you might encounter.